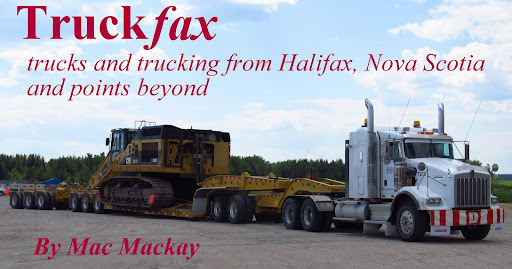 This is a blog about trucks and trucking from Halifax Nova Scotia, Canada, hence Truckfax. 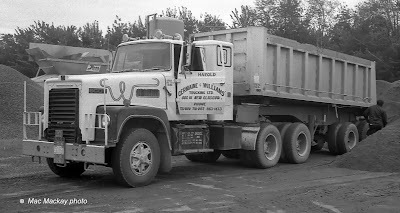 My aim is to share photos of trucks from my collection and to post items about interesting trucks that I see from time to time. I will take a pretty broad view of trucks- from pick-ups to semis, buses to amphibians, and from all continents- not just North America. Since I probably will not post something every day, it would be best to sign up for e-mail alerts. That way you will be notified immediately when I post something new. Wide cabs - count Euclid in. 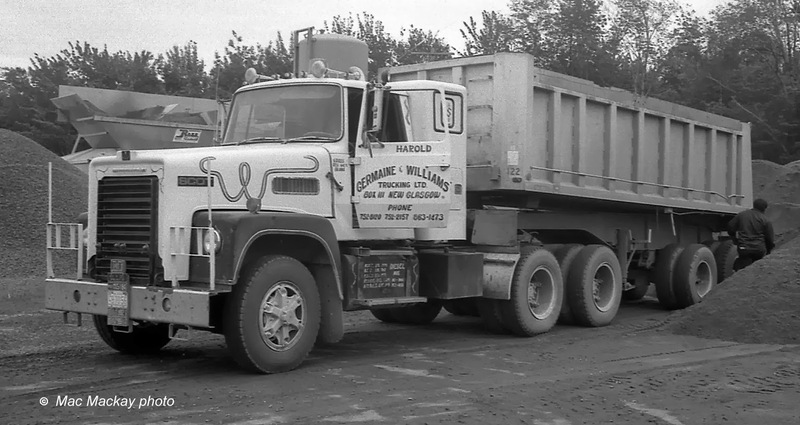 The trucks were quite modern and even revolutionary for their time, with several innovations. However by today's standards they were pretty basic. From one website I see the breakdown of production was 40% for Irving companies, 25% for government, 25% fire service chassis and 10% for others. Scot essentially built three models over the years. The A models were conventionals and the C models were low cab forwards. Originally the A1 models had Ford Louisville cabs, which were purchased complete with wiring, gauges, etc.,. ABCO of Lunenburg, NS built the fibreglass tilt hoods for the A1 models, built from 1972 to 1976. The C model used a custom cab which, after 1976 was also used for the A2 series conventionals, and was available with integral sleeper (which was revolutionary at the time). 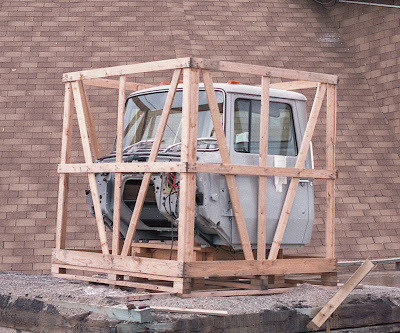 It was a very wide and comfortable cab for its time, and it had an equally wide tilting hood which was big enough to conceal the air cleaners and larger engines. 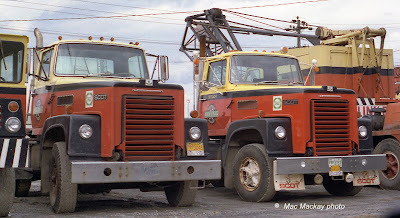 Scot built custom spec'd trucks too, which suited the special requirements of many of the Irving companies, and private owners.Special models for service as fire trucks, snow plows, fuel tankers, etc., were built on the basic A or C type. The tax advantage disappeared and Irving acquired a Freightliner dealership, so Scot was shut down. Starting with the A1 model-my favourite- and the best looking of all the models they built. 1. The typical A1 model - with Louisville day cab. 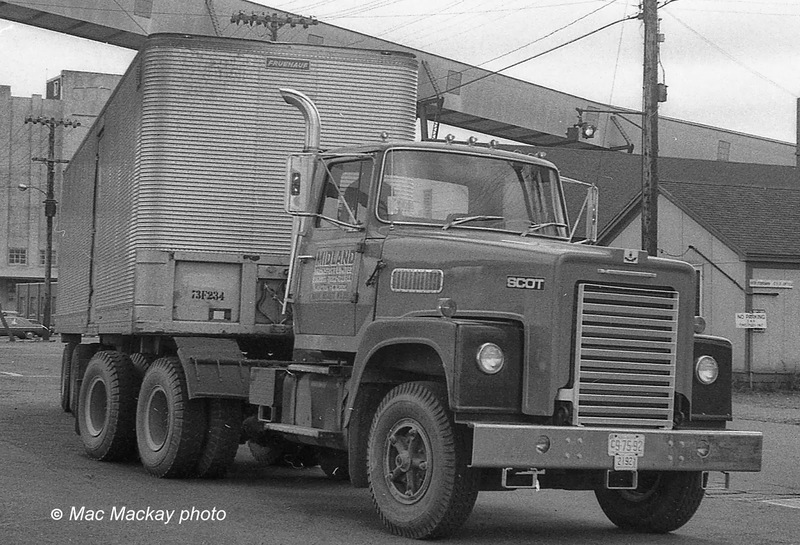 This sharp rig was running for Irving owned Midland Transport in 1974. 2. This A1 working in 1975 has a narrow sleeper - not a factory option - and probably very difficult to get in and out of. 3. 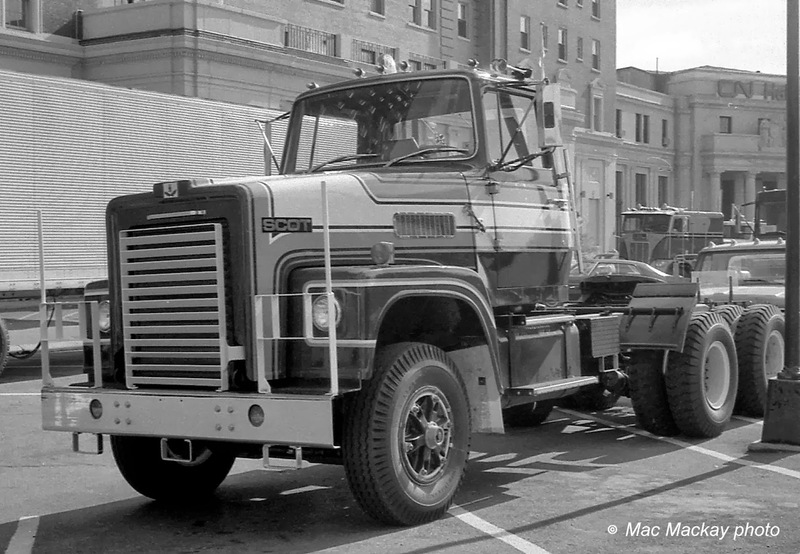 Scot brought this demonstrator to a truck show in Halifax in 1975. The frame around the headlights, with corner markers is apparently factory fitted, and mounted on the fenders to tilt with the hood. 4. These 1973 and 1974 A1s were still hauling Irving Oil tankers in 1983. Some were equipped with corner marker poles. 5. 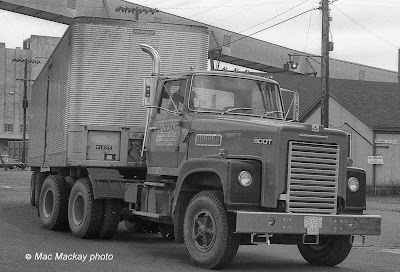 Irving Oil was likely the biggest user of Scot trucks, using them exclusively for highway work replacing Autocars. 6. J.D.Irving Ltd's equipment division, which does engineering construction and operates cranes, had many Scots on their roster in 1983. 7. The Nova Scotia Department of Transportation and Public Works had lots of Scots in their snow plow fleet, including this high speed unit based in McLellan's Brook. 8. 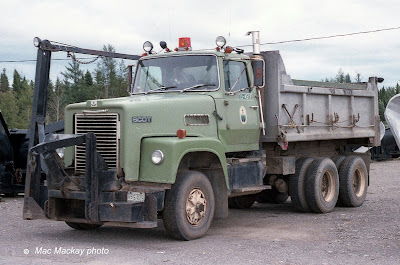 The New Brunswick Department of Transportation was still running this 1973 A1 in 1985 from their Bathurst, NB depot. 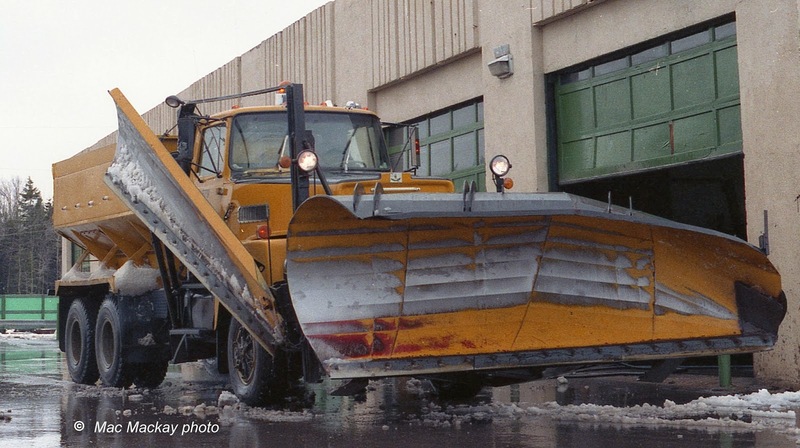 In summer service it had a conventional dump body which was swapped out for a spreader body in winter. 9. 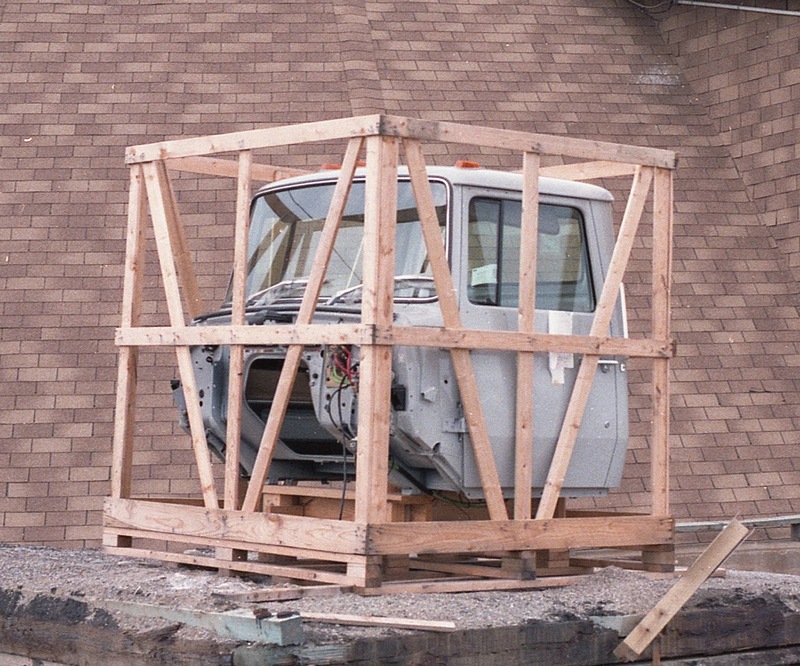 A new Louisville cab, destined for a rehabbed Scot, still in its crate at NB DoT in Bathurst in 1985. 10. 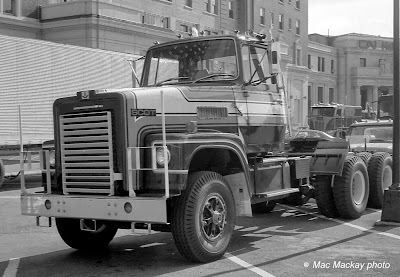 Believed to be a 1972 Model A1, this truck was working for J.D.Irving Equipment in 1990, carrying crane boom sections. Yes it is headed in the wrong direction on one-way George St in downtown Halifax. 11. 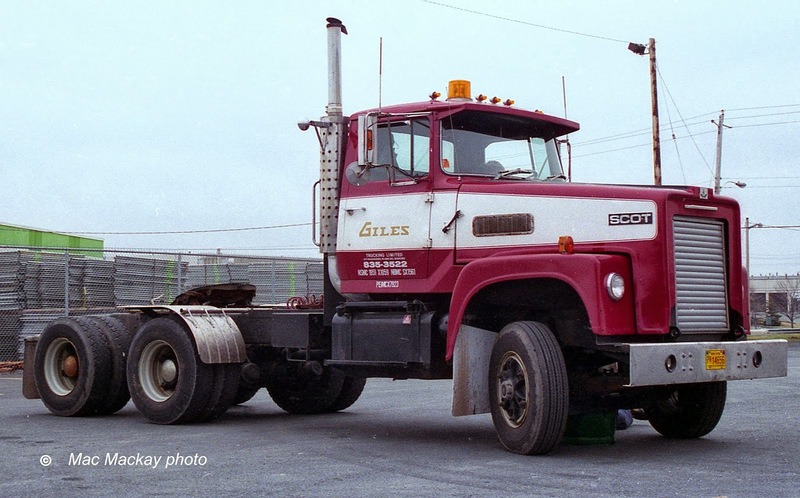 One of the last working A1s in the Halifax area was this well-maintained unit from Giles Trucking Ltd of Bedford, NS, shown here in 1994. It was at least 18 years old, but could have been as old as 22. 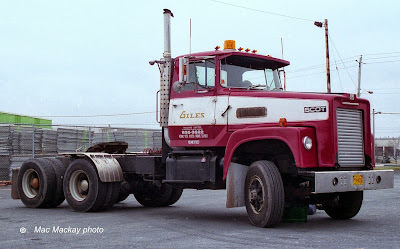 Mind you the cab was newer-it was pure Ford, and the whole truck was a complete rebuild. Part 2 of 3 will be coming soon to a blog near you. Awesome info. Keep up the good work. If you hear of a Scot coming up for sale please let us know. Thanks.